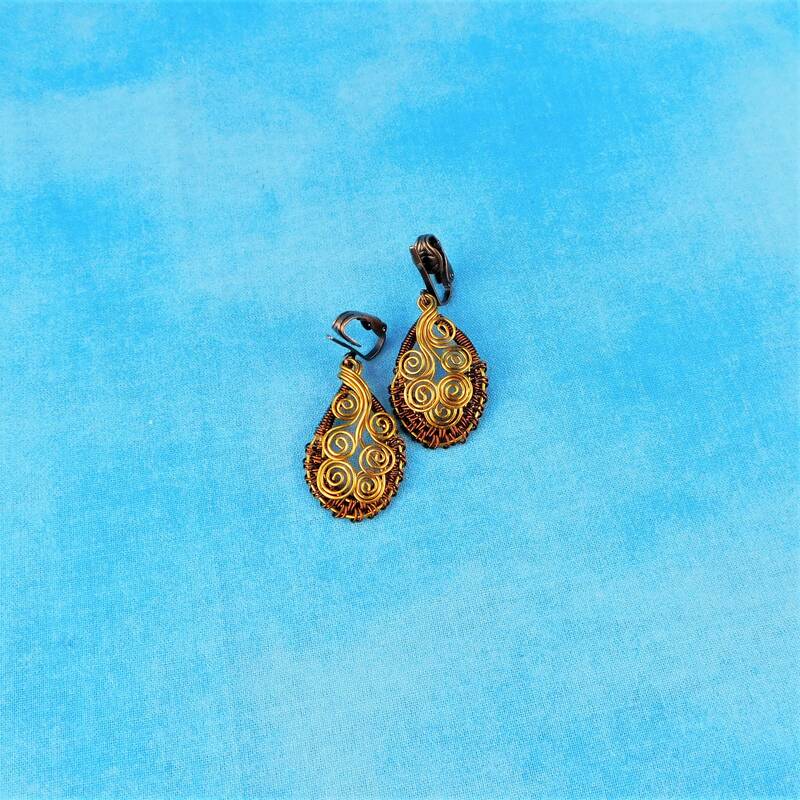 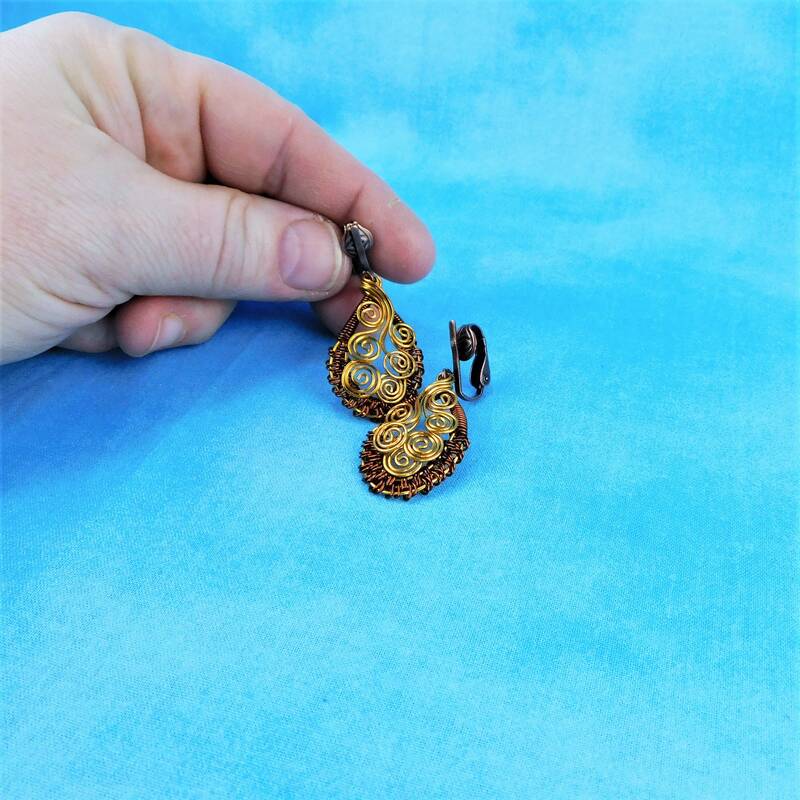 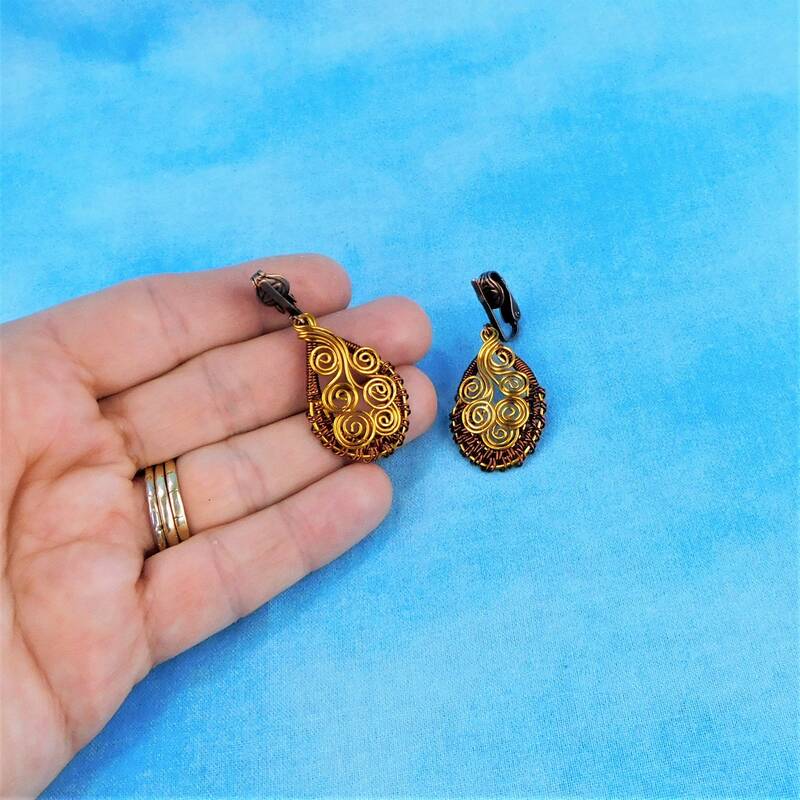 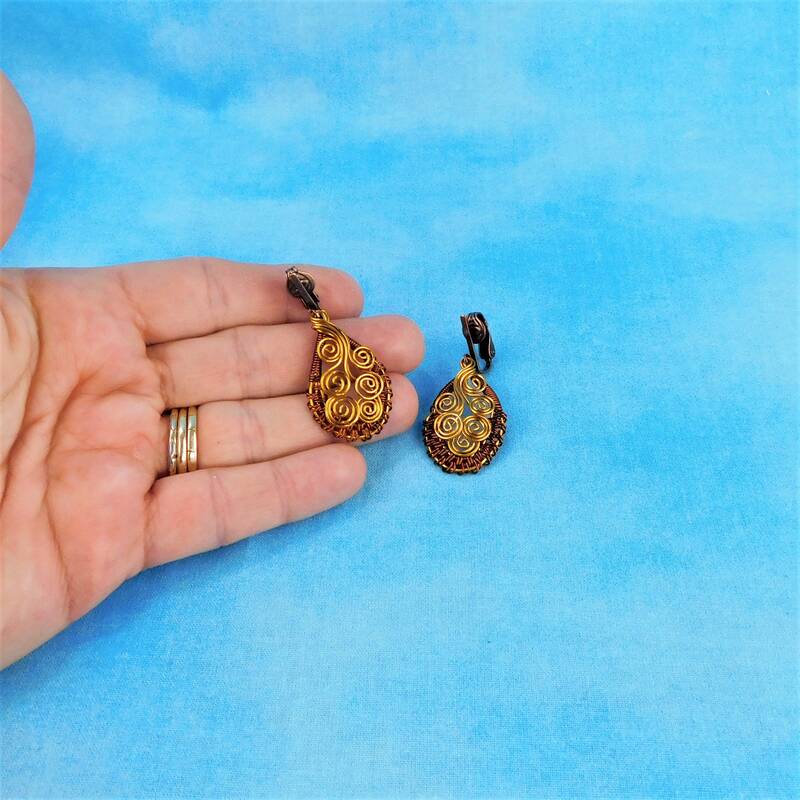 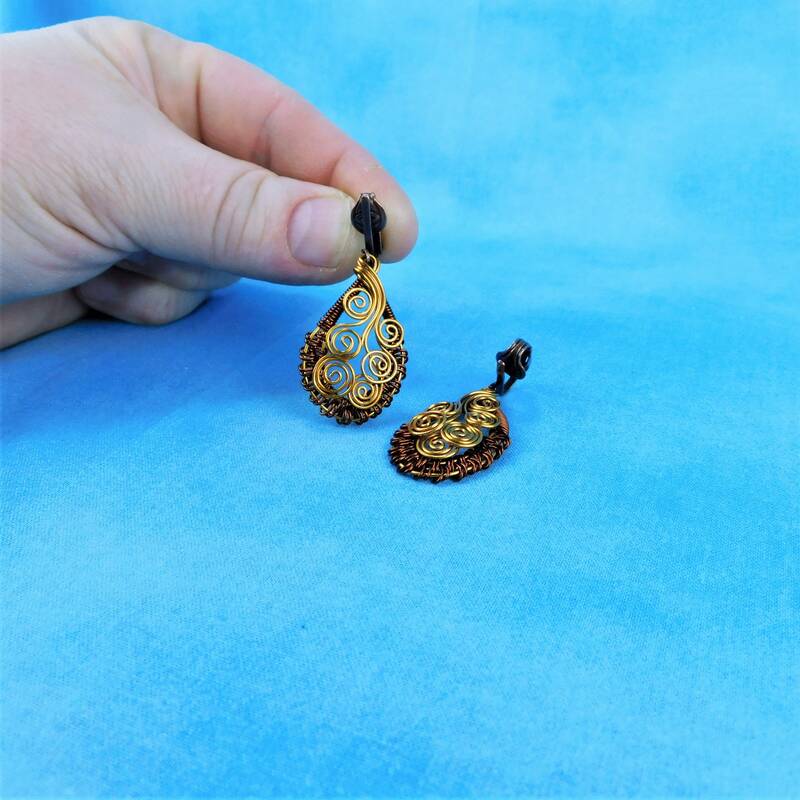 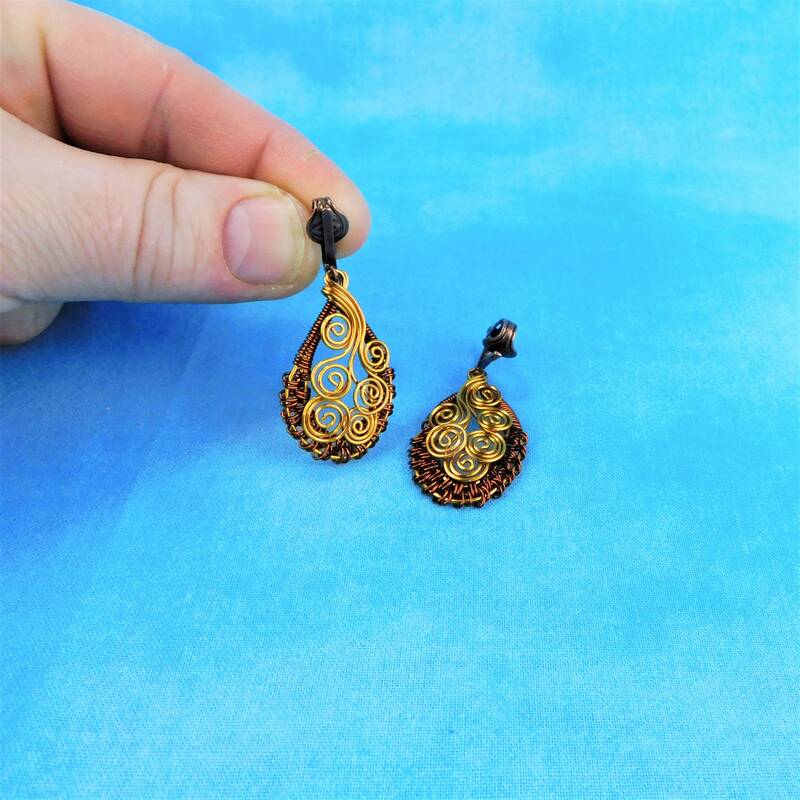 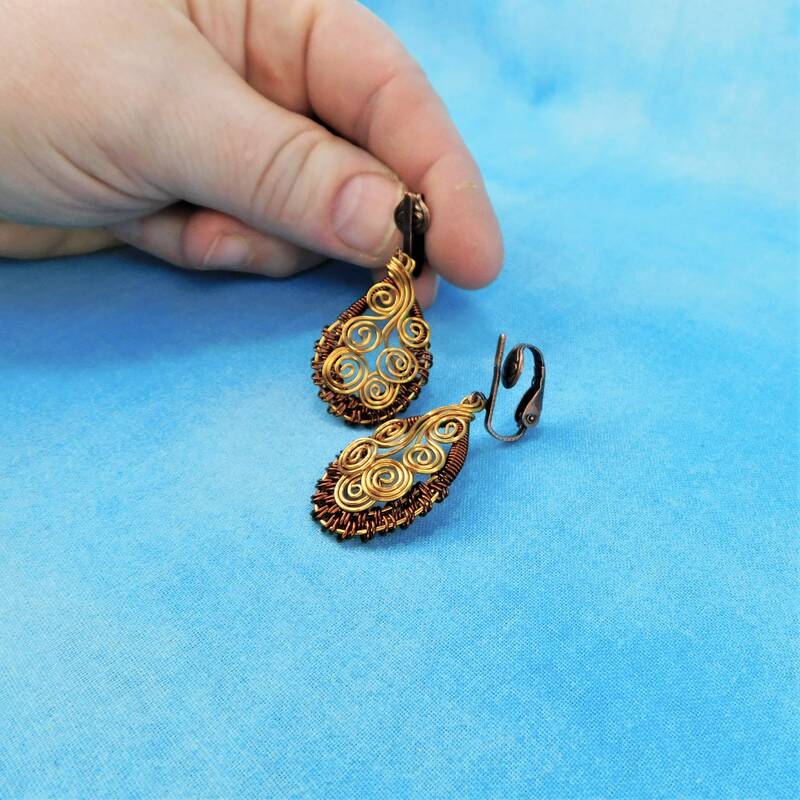 Two shades of non tarnish copper wire are meticulously hand woven into two ovals hanging from antique copper pierced-look clip-on style ear clips. 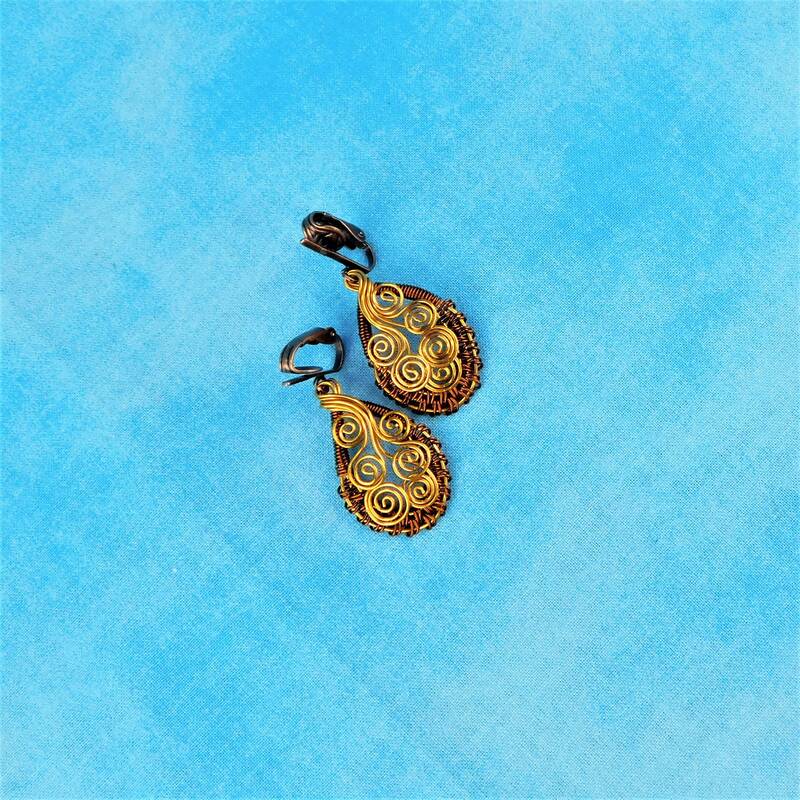 The earrings measure 1 1/2 inches by 3/4 inch and are comfortable and secure. 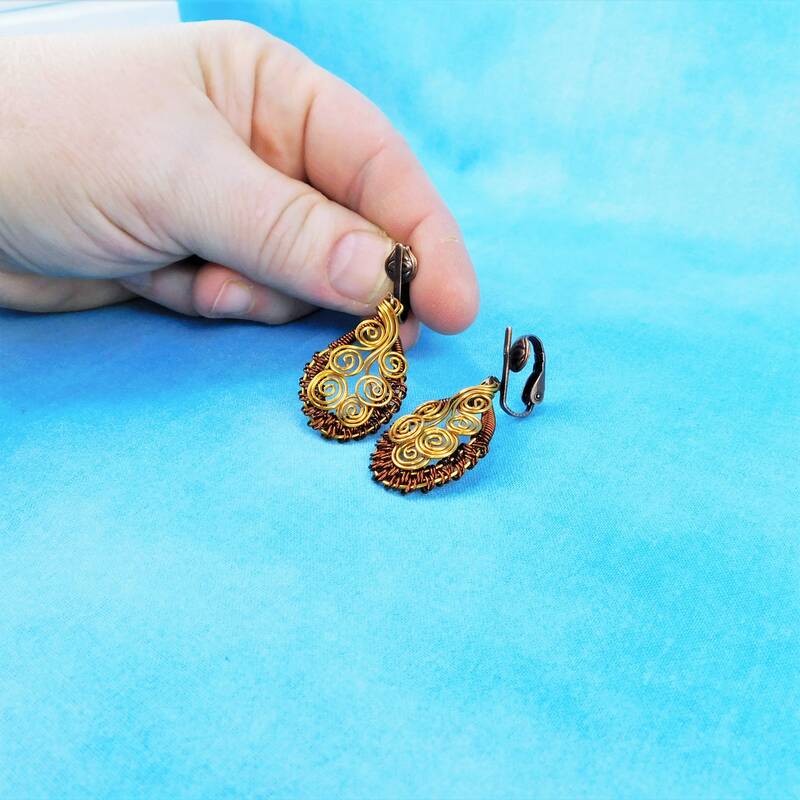 These warm, rich colors of copper compliment almost any color in your wardrobe and can go from casual to more formal. 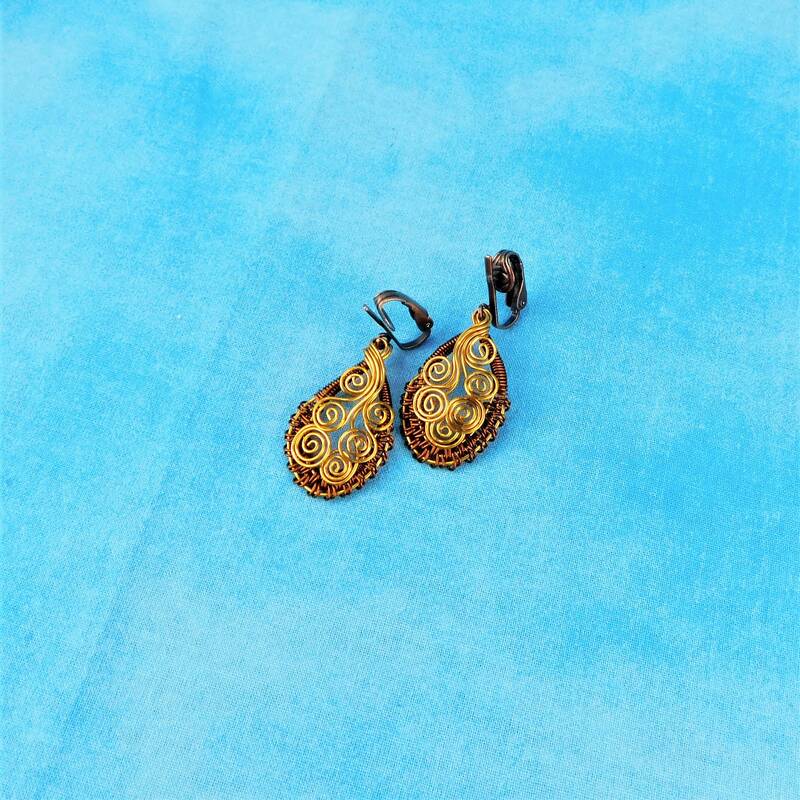 These will be favorites in any woman's jewelry box for years to come.